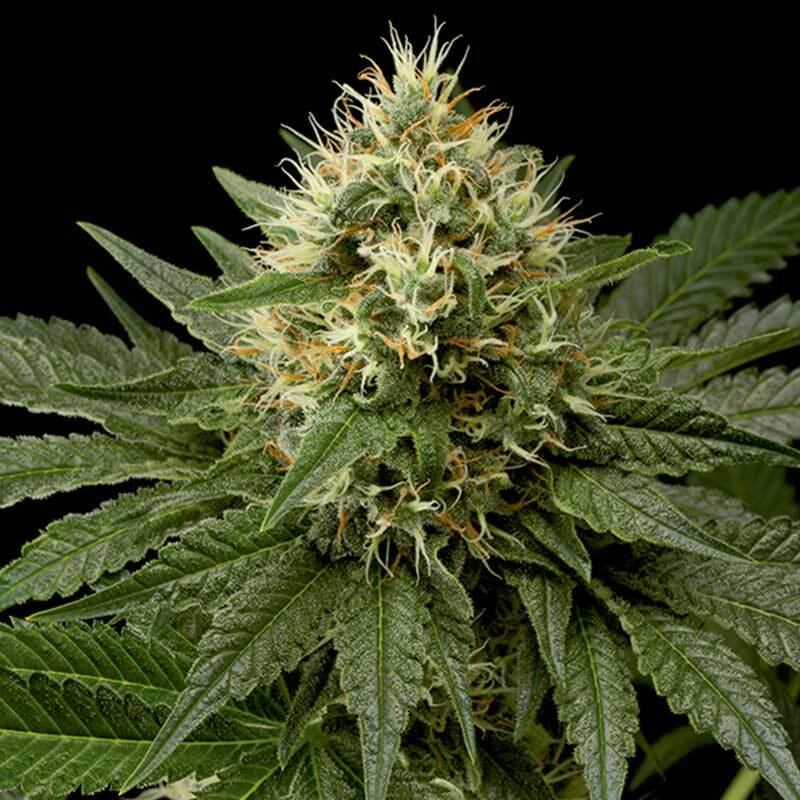 Dinachem cannabis seeds by Dinafem Seeds belong to a feminized, Sativa-dominant cannabis strain that results from the cross between a Guava Chem elite clone and an Original Chemdawg 91'. It is clearly aimed at the Sativa lovers looking for an exotic strain. Dinachem, an outstanding genetics with a rich, exotic flavour and aroma and a pleasant effect, was created thanks to the collaboration of the renowned American breeder Chemdawg, who allowed us to use some of his strains. It grows into a wonderful, fast-flowering, easy-to-grow, medium-sized, vigorous marijuana plant that produces plenty of compact buds brimming with resin in the hands of any grower. Resistant to moisture and pests, Dinachem cannabis seed performs well indoors with a short growth depending on the phenotype. Outdoors it enjoys temperate/Mediterranean climates and the greenhouse. Give an exotic touch to your garden with this premium-quality cannabis strain. The flavour and aroma are pronounced, with hints of tropical fruit, oil, citrus and exotic wood. The powerful effect is cerebral, euphoric and invigorating at first, finishing with a relaxing body high perfect for unwinding.